Isle of Wight MP Bob Seely raised several points during a parliamentary debate yesterday about the transport infrastructure on the Island. Details and video within. 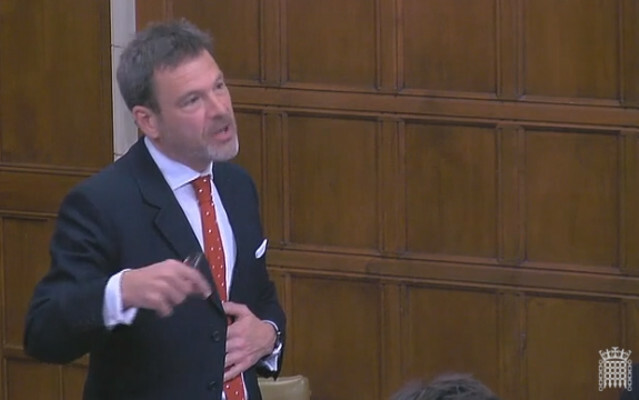 During yesterday’s (Tuesday) Westminster Hall debate on Regional Transport Infrastructure Isle of Wight Conservative MP, Robert Seely raised the issue of the Island’s ferry duopoly, the age of Island Line carriages and the speed of train travel from Southampton and Portsmouth to London. “First, I would love Ministers to look at the ferry duopoly on the Solent. “It is the most expensive ferry route in the world, and many issues that relate to the ownership of the two ferry companies are not necessarily in the public interest and help to sustain the very high fares that Islanders are forced to pay. The MP went on to talk about Island Line how important it is for Islanders. “Secondly, Island Line is not the longest railway line in the world, but it is nevertheless the line from Ryde Pier Head down to Shanklin, which is very important for Islanders. “At the moment, travelling on Island Line is almost the rail equivalent of travelling in a Land Rover over a reasonably rough bridleway. It needs significant infrastructure work on the track, signalling and rolling stock. “There was something approaching uproar when we learnt that Newcastle’s rolling stock was 40 years old. Without sounding like something out of a Monty Python sketch, what I would give for rolling stock that is 40 years old! “Finally, I want to mention Southern railway. I really hope that HS2 is not diverting funds to every other rail project in the country. We should have proceeded with HS3, the northern high-speed railway, which is, as the Americans say, a no-brainer, rather than build a £100 billion route from London to Birmingham, which I am not sure we need—perhaps some of my colleagues disagree. Because of that, I am concerned that the main line routes to Portsmouth and Southampton will not get the attention they deserve. You can watch Bob’s speech below. 11 Comments on "Isle of Wight MP asks Transport Minister to be ‘generous’ with Island Line, and investigate ‘ferry duopoly’"
Bob, asking for Ministers to look at the ferry duopoly on the Solent, whatever next? Has he had a falling out or is he just trying to get rid of the debt that a specific ferry company has? The latest Private Eye (1491, p.12) reports Bob’s falling out with former Tory MP Greg Barker, who David Cameron made Lord Barker, and who appears to be a businessman in bed with the sort of sanctioned Russians we’re told to worry about. Yet still he doesn’t mention the Elephant in the Room! That’s the only elephant in this room. I’m surprised you two don’t get on Carl, you are both full of it, and I don’t mean ideas. There’s plenty of support for the link but the ferry companies and their chums in high places are desperately trying to squash the matter. No Tim, there is not enough support for the link, or very much interest in it anymore either! If there was so much support as quoted by pro-link, steps toward it would have progressed a lot further by now.